Standard Tacoma rear bumpers are a direct bolt on replacement designed to give better clearance and departure angle while staying tight to factory body lines, giving your truck a clean and aggressive look while offering added protection on the trail. 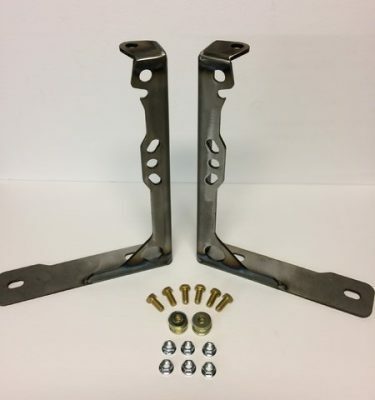 Built from CNC cut and brake formed 3/16″ HRPO steel plate. 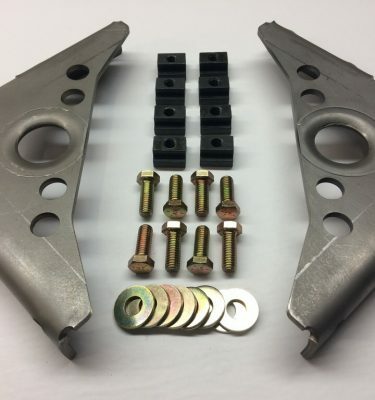 3/4″ thick shackle tabs pass through the bumper and welded front and back. 10 bolt locations makes mounting rock solid. Uses factory threaded frame holes…no cutting, drilling or welding required for installation. Holes for flush mount LED pods as backup lights. Fits most brands including Rigid Industries. Standard 2” receiver included, either hidden behind plate or under license plate (your choice). Hidden receivers include a flip up license plate bracket. Receiver hitches are not officially load rated, but built plenty beefy. Receiver tube is reinforced with 2”x2”x.120” tubing spanning between the mounting plates. Reuses factory license plate lights. Trailer plug gets relocated under the bumper using included bracket…tucked up and out of the way where belongs. **Current lead time is 12 weeks** Orders can be taken on a $100 deposit, email morgan@athfab for more info. 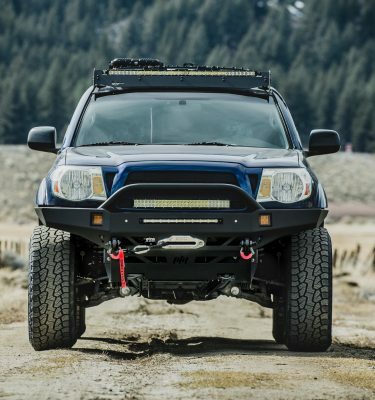 Standard Tacoma rear bumpers ship FedEx ground with shipping cost ranging from $70-$200. Bumpers with hidden receivers cost less to ship due to their reduced dimensions. Please email morgan@athfab for a shipping quote. Shipping charges will be invoiced when bumper is ready to ship. 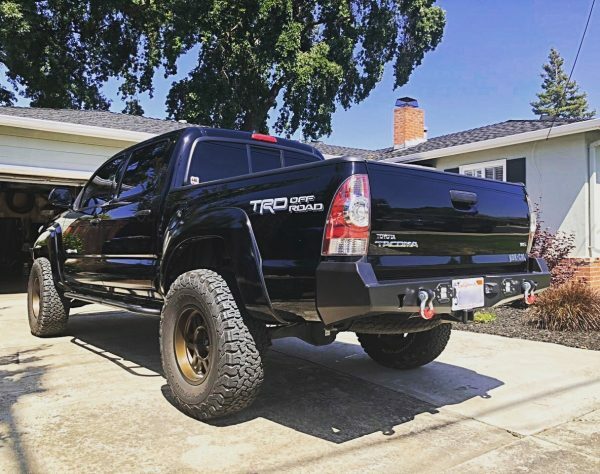 Local pickup in Gardnerville NV or South Lake Tahoe area is welcome! 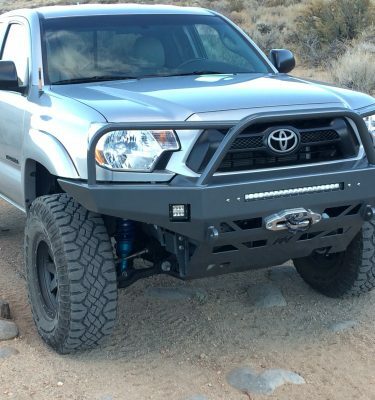 ATH Fab is a small shop located in Gardnerville, Nevada that has a passion for producing high quality, hand made off road vehicle products using modern metal fabrication technology. © 2019 At The Helm Fabrication. All Rights Reserved.